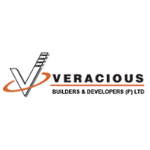 Veracious Builders & Developers came to existence two decade ago, the Veracious today is a strong and vibrant organization committed to delighting our customers through innovation. Our architectural and technical innovation set customer a strong vision of the company, based on our enduring values such as Quality, reliability, punctuality and transparency. In the supremely dynamic and competitive sphere of property development, one name has consistently been a trail blazer, setting the trends for others to follow. The company is professionally managed by Board of Directors consisting of specialist from variant fields and walks; it is this trait that has always attracted the most talented people to our company. While we seek to bring innovation and fresh energy into the organization, we've never under-valued our old relationships. All the stakeholders who have been with us through our journey,Veracious has kept the promise to deliver in time; we have completed one million square feet and Member of CREDAI. We have grown to be one of the leading real estate developers in Bangalore, Today Veracious Builders is a household name across the Bangalore. Veracious project is a standing for excellent standards in design and construction. Over the years, we have created a distinctive mark on the skyline in Bangalore with our land mark developments. Veracious Builders are popular not only among a large populace residing in Bangalore, but also across India. And also Veracious subsidiary company Legno Door System Pvt. Ltd .into Manufacturers of Solid wooden doors, Modular kitchen, kitchen shutters, word robes & Hotel interiors etc., Our projects are known as some of the best addresses in town.